214 photos in database by this submitter. 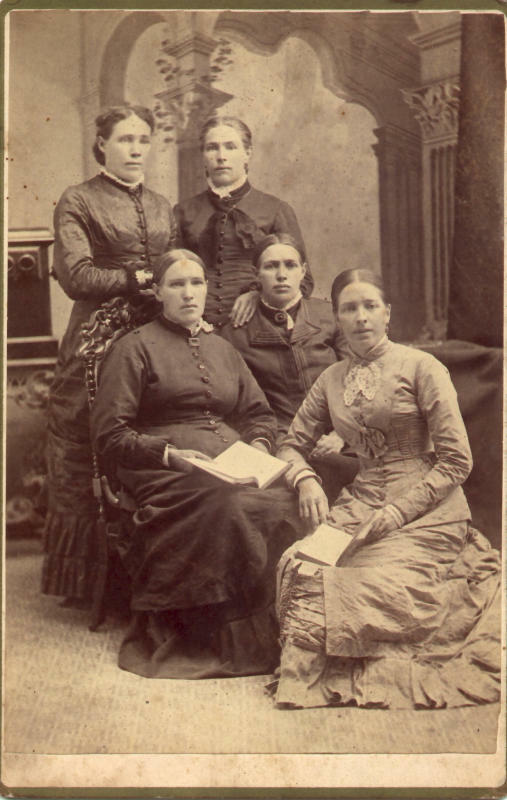 Comments: Euphemia Shiells (Nee: ) | St-Laurent QC Canada | 1851-1900 | Comments: Euphemia Shiells is pictured here with her sisters Jane, Ann, Elizabeth and Janet "Jessie" Shiells. She was born in 1844 in St-Laurent (near Montreal), Quebec to James Shiells & Agnes Nancy Boa. She married John Taylor.